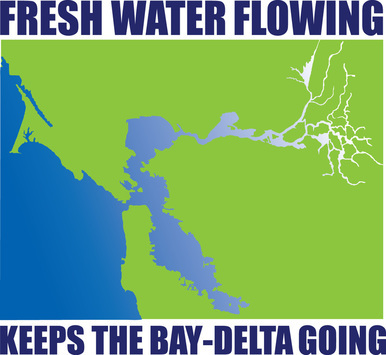 Take Action to Protect the San Joaquin River and the Bay-Delta Estuary! 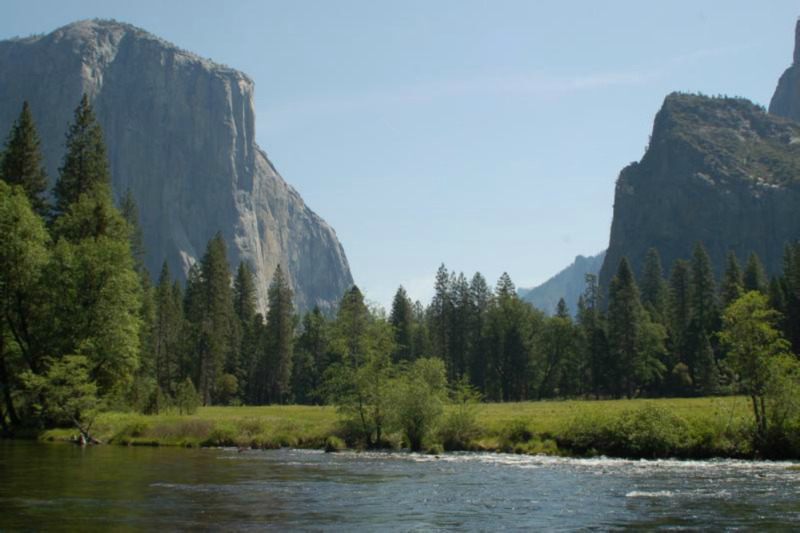 The Merced River, shown here in iconic Yosemite Valley, would see a boost in flows from more protective standards proposed by the State Water Resources Control Board (photo: nps.gov). but it is still less than half a river. The State Water Board should be commended for this first step, but urged to do more to restore the river and its fisheries. The proposed standards, in the revised Supplemental Environmental Document, are available online. The State Water Board will be holding hearings for oral comments in Sacramento starting on November 29 and will be accepting written comments until January 17, 2017. The State Water Board will then review these comments and issue a decision in 2017. Peter Drekmeier of the Tuolumne River Trust: "The situation is desperate, and the State Water Board is finally stepping up to do something about it." On September 15, the State Water Resources Control Board proposed flow standards that could double the amount of natural freshwater flows in the lower San Joaquin River and its major tributaries during critical months of the year. The San Joaquin River has been named one of America's Most Endangered Rivers by the conservation group American Rivers. The San Joaquin River, which flows from Southern Sierras into the Sacramento-San Joaquin Delta and then the Bay, is left with less than 20% of its flow at times and can run dry for up to 100 miles. Historically, an estimated 130,000 salmon spawned in the Tuolumne River, a tributary of the San Joaquin. Last year, the number plummeted to below 500. The proposed standards call for a range of 30-50% of the natural river flow (called "unimpaired flow") in the system, with a starting point of 40% during the critical period of February-June. The increase in flows will create a healthier river system for the San Joaquin and its tributaries (the Tuolumne, Merced, and Stanislaus rivers), benefiting salmon and other native fish and wildlife that use the river, as well as improving water quality in the Delta and the Bay. These new standards may seem a challenge to the farms and cities that have grown accustomed to draining the San Joaquin River dry over the last several decades. 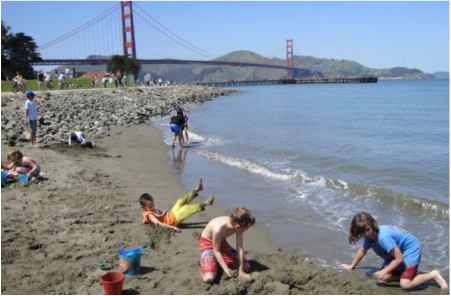 But California’s cities demonstrated during the drought that urban areas can reduce their water use substantially, and the economy—including California agriculture—thrived. The “new normal” must include healthy rivers and sustainable fish populations as we move forward with 21st century water management and allocation. Will these proposed flow standards provide enough water to sustain a healthy river ecosystem and resilient populations of salmon and other native fish? In 2013, the California Department of Fish and Wildlife concluded that 50-60% of unimpaired flow is needed to protect salmon and sustain the river ecosystem. The State Water Board has also found that 60% of unimpaired flow would be needed to fully protect salmon populations on the San Joaquin River and its tributaries. Interested in submitting a comment letter or speaking at a hearing? Sign up for more info. Please indicate whether you want to submit a comment letter or speak at the hearings in November, or both.